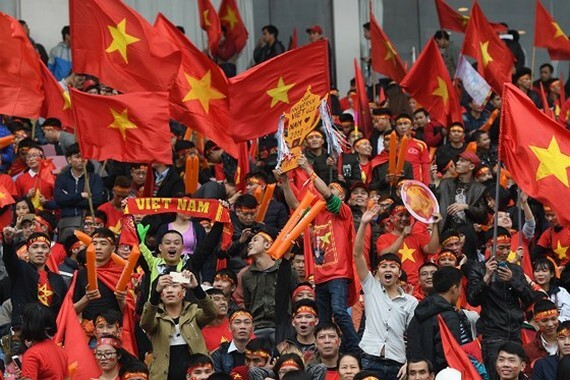 The weather in Hanoi is expected fine in the evening on December 15 when the second leg of the AFF Suzuki Cup final between Vietnam and Malaysia will start at 7:30 p.m. in My Dinh national stadium, Hanoi. According to forecasts from international weather forecast centers in the Asia-Pacific region, the weather will be very fine when the ball rolls. This morning, it is still cold in Hanoi with temperature swinging around 14-15 degrees Celsius. 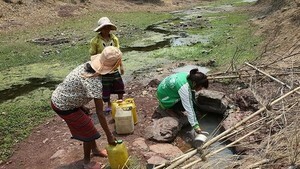 From 3 p.m. on the same day, the mercury will increase to 19 degrees and it is predicted sunny. Temperature will reduce to 16 degrees from 6p.m. without rain. In HCMC, it will be sunny in day time. Shower might occur in some places from 3 p.m. but will stop in the evening. The central region will continue seeing medium to heavy rain as per forecast by National Hydro Meteorological Forecasting Center. From now until December 17, a new cold wave will trigger medium to heavy downpour in central provinces from Quang Tri to Khanh Hoa. Common precipitation will be from 80-250mm with some places seeing it above 300mm. A tropical low pressure trough has been intensifying in the southern part of the East Sea and might render unseasonable rains for the southern region in the second half this month and January next year.